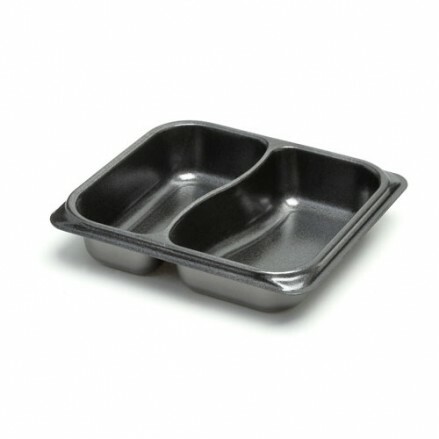 New airPET offers a completely new possibility for innovative, sustainable applications in food packaging. 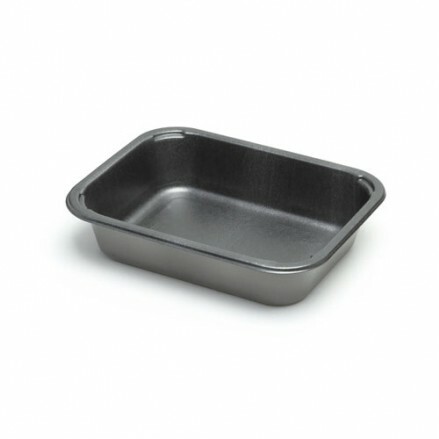 Consumers now demand heat resistant packaging for microwave and oven applications so the product can be conveniently heated in its packaging. 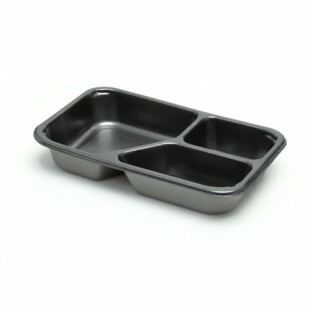 These trays are temperature resistant ranging from -20 °C to 200 °C and when heated the tray remains cool to the touch. 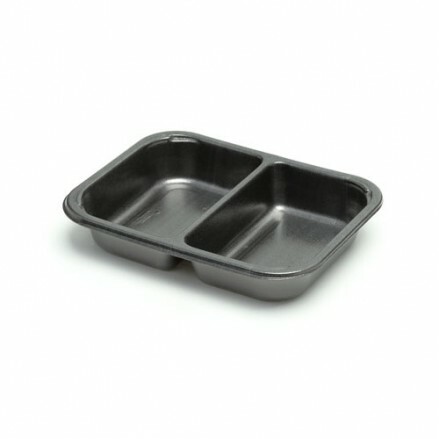 Also sealing with a weld or peelable film is no problem, making airPET especially suitable for ready meals or takeaways. 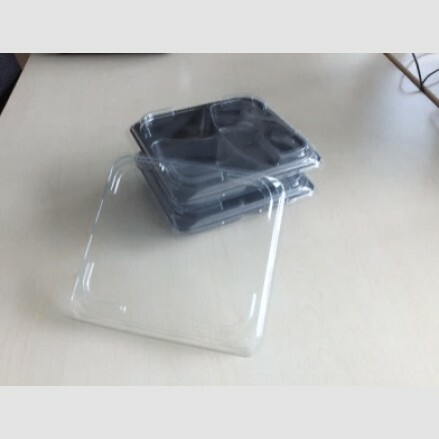 Foamed packaging is particularly light and particularly sustainable because of a low consumption of material. 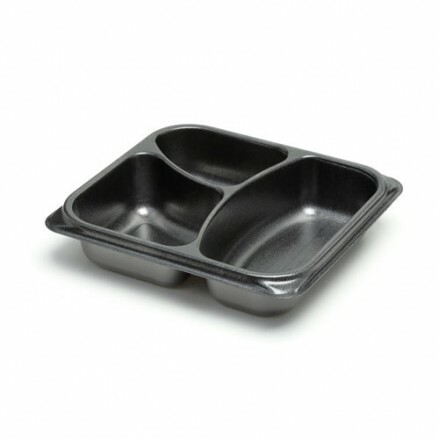 These trays are 100% recyclable! 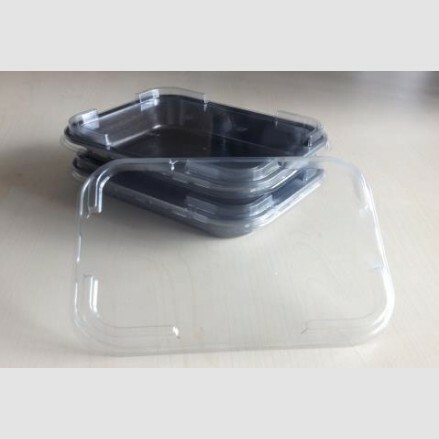 540 per case 127 x 155 x 40mm Expanded CPET Black (airPET tray) ..
630 per case 127 x 155 x 50mm Expanded CPET Black (airPET tray) ..
480 per case 155 x 200 x 25mm Expanded CPET Black (airPET tray) Technic..
552 per case 155 x 200 x 35mm Expanded CPET Black (airPET tray) Technic..
552 per case 155 x 200 x 35mm - two compartment Expanded CPET Black (airPET tr..
552 per case 155 x 200 x 45mm Expanded CPET Black (airPET tray) Technic..
464 per case 155 x 200 x 45mm - two compartment Expanded CPET Black (airPET tr..
512 per case 155 x 200 x 55mm Expanded CPET Black (airPET tray) Technic..
788 per case 165 x 210 x 15mm RPET Clear (airPET lid) Technical Informa..
328 per case 183 x 200 x 45mm Expanded CPET Black (airPET tray) Technic..
616 per case 183 x 200 x 45mm Expanded CPET Black (airPET tray) Technic..
520 per case 183 x 200 x 45mm Expanded CPET Black (airPET tray) Technic..
840 per case 211 x 194 x 15mm RPET Clear (airPET lid) Technical Informa..